The website for the EuroVenus project (http://www.eurovenus.eu) is now on line. It presents the teams science activities, results from the consortium and news and updates on present as well as future projects for the spatial exploration and study of planet Venus, our nearest neighbour. The site includes links to partner Institutes and European teams, a presentation of reasons to explore and study Venus, and links / outreach material for dissemination toward a larger public. The funding has been awarded by the European Commission for three years (Oct. 2013-Sep. 2016), with a total contribution of 2.2M€, to study the climatology of Venus using data from the European Space Agency’s Venus Express mission and coordinated observations from large ground-based telescopes (CFHT, ALMA, IRTF). The science objectives focus on winds, chemistry, clouds/hazes and temperature structure. Like climate studies on Earth, progress relies on long series of inter-calibrated measurements, and their spatial and temporal variations. The project brings together researchers from Observatoire de Paris-Meudon/LESIA, Belgium Institute for Space Aeronomy, Rheinisches Institute for Environmental Research at the University of Cologne, the Faculty of Sciences and Center for Astronomy and Astrophysics of the University of Lisbon, and the University of Oxford. Five LESIA participating scientists are T. Widemann, T. Encrenaz, R. Moreno, E. Lellouch, et A. Piccialli. 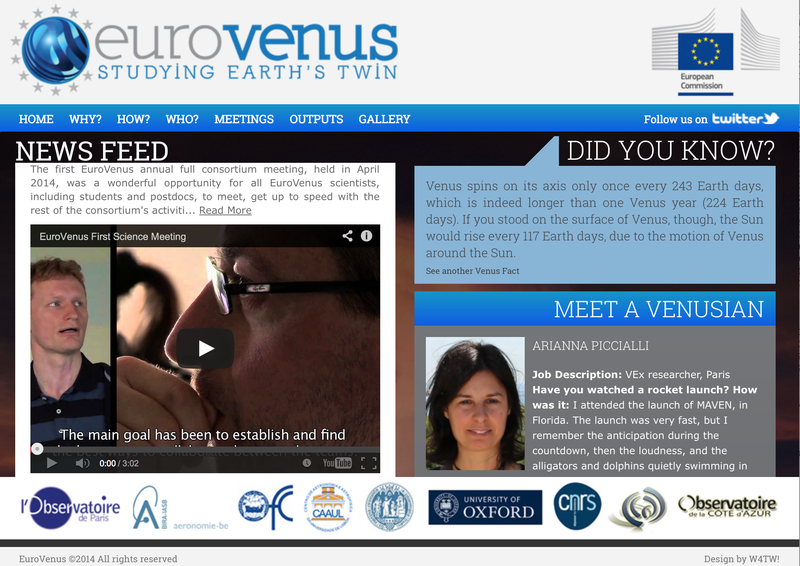 Home page of European project EuroVenus. 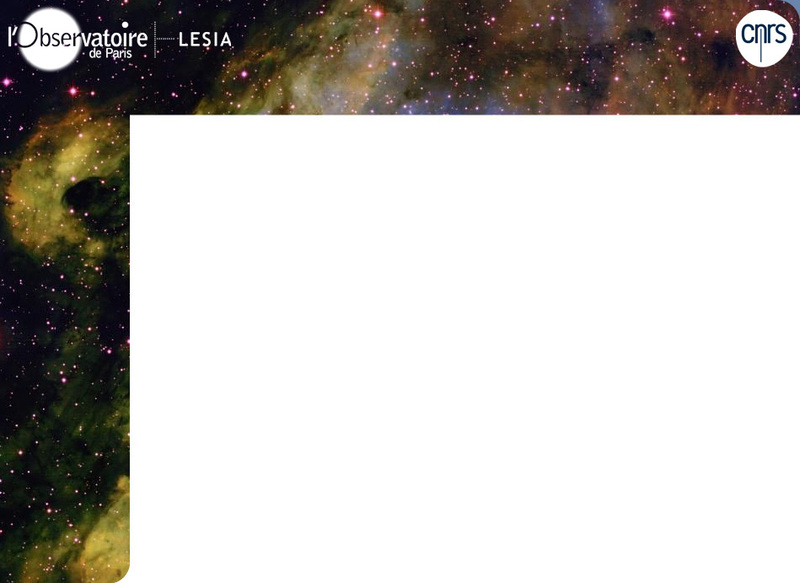 The website of European project EuroVenus (http:www.eurovenus.eu), is maintained and managed in LESIA.